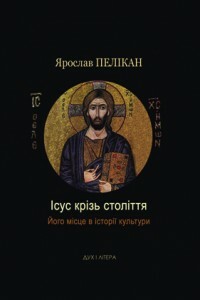 On September 27 – 30, 2010 the European Humanities Research Centre of the University of ‘Kyiv-Mohyla Academy’ organized the International “Assumption Readings” conference devoted to the theme: Christian Feast: Thanksgiving, Liberation, Unity. It was the 10th meeting held in the Assumption Kyiv-Pechersk Lavra in Kyiv since 2001 and named “Assumption Readings” after the monastery where the meetings are held every year. The 2010 conference developed the successful experience of previous encounters in 2001 (Family in Post-Atheistic Societies), 2002 (Education and Family in Post-Atheistic Societies), 2003 (Ways of Education and Witnesses of Righteousness: Person. Family. Society), 2004 (Human Person and the Problem of Tradition: Meeting of Generations and the Quest of Continuity), 2005 (Human Being. History. Gospel), 2006 (The Unity of the Human Person and the Meeting of Cultures), 2007 (Friendship and its forms, ordeals and gifts), 2008 (Memory and History: at the Crossways of Cultures), and 2009 (Memory and Hope: Horizons and Paths of Finding Meaning). The initial aims of the jubilee conference of 2010 coincided with the aims of the conferences of previous years. They include the promotion of the ecumenical dialogue and cooperation by way of bringing together distinguished theologians from Orthodox and Catholic traditions to discuss topics that unite both; the promotion of cooperation between Academia and Church by holding the events of the conference both in Church and academic institutions; the inculturation of Christian tradition in Ukraine through raising interest to the conference in wider audiences of Ukrainian society. Every year at the end of September the conference gathers more than 30 participants from Ukraine, Russia, Belarus, Poland, Vatican, France, Italy, Belgium, Great Britain, Germany, Switzerland and the USA. In 2010, among the distinguished participants of the “Assumption Readings” were metropolitan VLADIMIR of Kyiv and All Ukraine, Archbishop Iwan JURKOVIČ, Apostolic Nuncio in Ukraine, Metropolitan of Volokolamsk Hilarion, the chairman of the Department of External Church Relations and a permanent member of the Holy Synod of the Patriarchate of Moscow bishop MITROPHAN, Head of Administration of Ukrainian Orthodox Church, Rev. Milan ZUST, Secretary of the Pontifical Council for Promoting Christian Unity, fr. Didier BERTHET, Rector of Catholic Seminary of St-Sulpice (France), abbot Michel VAN PARYS from the Benedictine monastery of Chevetogne (Belgium), br. Adalberto MAINARDI from the Monastery of Bose (Italy), fr. RICHARD from the Taizé Community (France), Dr. Johannes OELDEMANN from Johann-Adam Möhler Ecumenical Institute (Germany), Prof. Georges NIVAT from the University of Geneva (Switzerland), Archpriest Mykola MAKAR, Head of the Association ‘Eulogia’ in Milan (Italy), fr. Zdislav SZMANDA O.P., acting as Rector of St. Tomas Aquinas Institute of Religious Studies in Kyiv (Ukraine), sister MARIE-GERMAINE (Little Sisters of Jesus Community) from Korosten (Ukraine), Prof. Dr. Christian FELMY, member of the Commission for the Dialogue between the Evangelical Church in Germany and the Russian Orthodox Church, Beatrice DE LA VILLION, Chief Representative of the Catholic Association “Truth and Life” (Paris), the Orthodox historian Christine CHAILLOT (Switzerland), Prof. Mikhail SHKAROVSKY from St. Petersburg Theological Academy, and Prof. Alexander FILONENKO from Kharkiv State University (Ukraine). To be more concrete, Rev. Milan Zust from Vatican (see video) spoke about the baptism as the beginning of all Christian feasts, br. Richard from Taizé (see video) spoke about the joy of the feast as a source (and not a result) of forgiveness, fr. Adalberto Mainardi from Bose (see video) revealed the eschatological dimension of the feast. Prof. Georges Nivat from Geneva (see video) spoke about the celebration of feasts in different times and cultures, coming out of his life experience. Prof. Viktor Malakhov from Kyiv (see video) shared his striking reflections on the ambivalence of the feast – the role of the “red colour” and the executions as a feast. 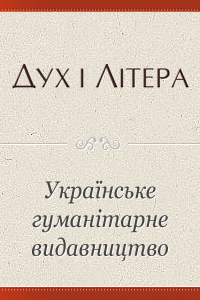 Another Ukrainian philosopher, Prof. Alexander Filonenko from Kharkiv (see video), suggested to comprehend the feast through the latest theological and philosophical research on the Eucharistic anthropology. Meanwhile, Prof. Dr. Karl Christian Felmy from Germany (see video) spoke about the liturgical aspect of the feast. The abbot Michel Van Parys from Chevetogne (see video) reported on the vision of the feast by St. Gregory Nazianzin (the Theologian). More video recordings of the Assumption Readings, please see here. Among the events, which were especially important for our spiritual schools, were the presentations in the Holy Assumption Kyiv-Pechersk Lavra of two new books published in Russian by ‘Dukh i Litera’ (Spirit and Letter) Research and Publishing Association. One is written by the outstanding Catholic theologian fr. Enzo BIANCHI: Words of Spirituality. Towards a lexicon of the inner life; the other is titled The History of the Orthodox Churches in the 20th century, edited by French Orthodox historian Christine CHAILLOT. Christine Chaillot was among the participants of the “Assumption Readings” and presented the book herself (see video). In general opinion, this year’s jubilee “Assumption Readings” became a true feast of joy, at which all the participants became friends. The words of St. Paul come to mind in this respect: “Now therefore ye are no more strangers and foreigners, but fellowcitizens with the saints, and of the household of God” (Eph. 2:19). It became the feast of communion, openness and friendship. Metropolitan Vladimir of Kyiv and all Ukraine (see video), who greeted the participants and spoke about the tasks of theology in the contemporary world, especially underlined the importance of the conference for the development of theological education in this country. Indeed, the topics that the conference raised have been discussed in theological academies and universities, as its target audience is primarily theologians and students of theology and the humanities. As two days of the four-day conference were held in Holy Assumption Kyiv-Pechersk Lavra, it was a unique oportunity for students and professors of Kyiv Theological Academy and Seminary (located on its territory) to listen to the reports and meet the participants. The experience of the “Assumption Readings” will help the young generation of the Ukrainian Church to form their own vision of the future relations between the Christians. The conference was also debated at the Ukrainian theological portal (theology.in.ua), as its chief editor, Yuri Chernomorets, was among the invited participants. 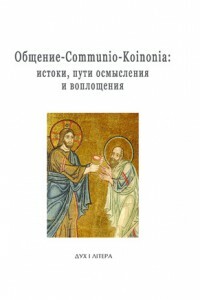 The materials of the 10th conference will be published in one volume in 2011. This publication will continue the continuous tradition of ecumenical dialogue that the previous nine volumes represent. Those materials, as well as video-reports, are to be found the website of St. Clement’s Center, which is the partner of European Humanities Research Center. The publication and distribution of the materials will help making the outcomes of the conference more accessible to readers in Ukraine and abroad.